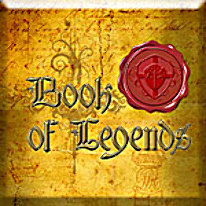 If the Book of Legends should ever fall into the wrong hands, the consequences could be devastating. Follow Zoe and Charleston Black as they follow the clues found in the long forgotten Book of Legends. Clues that lead them on a hunt for one of the world’s most mysterious legends of all, Excalibur! Is it real? And can they find it before their enemies do? Find out as you unravel a mystery that could change the balance of power forever.